The NFIB OH PAC, the political action committee of NFIB in Ohio, has announced the endorsements of Justice Mary DeGenaro and Judge Craig Baldwin as the best candidates for seats on the Ohio Supreme Court for the 2018 Ohio general election this coming November. Mary DeGenaro and Craig Baldwin will bring strong constitutional backgrounds and years of legal knowledge and experience to the Ohio Supreme Court. Both have a well-rounded career of practicing law on both sides of the bench for over 25 years. “I’m honored to receive the endorsement of the Ohio NFIB PAC. 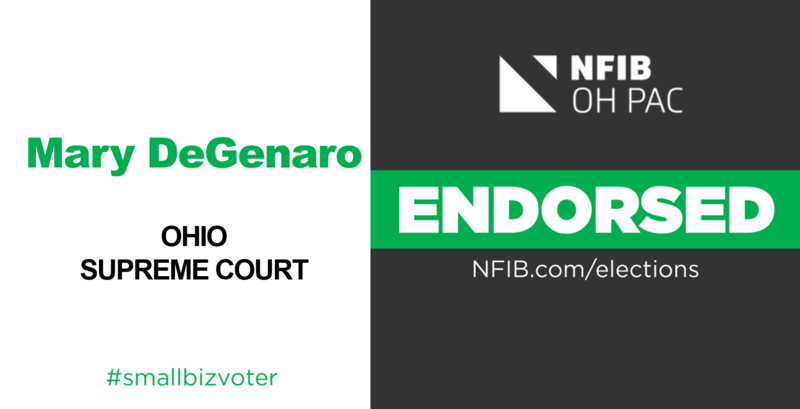 I appreciate the support of their statewide network of small businesses and will continue to work on the Ohio Supreme Court to serve all Ohioans,” said Justice DeGenaro. 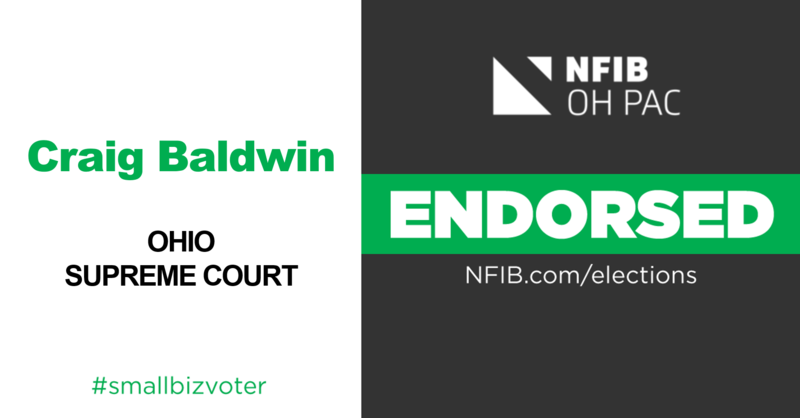 In determining the endorsements, the NFIB OH PAC thoroughly vetted the candidates for Ohio Supreme Court through a member-driven process, including surveying members and personal interviews with the candidates. After completing the process, Justice Mary DeGenaro and Judge Craig Baldwin are the strongest choices for Ohio’s small business owners.